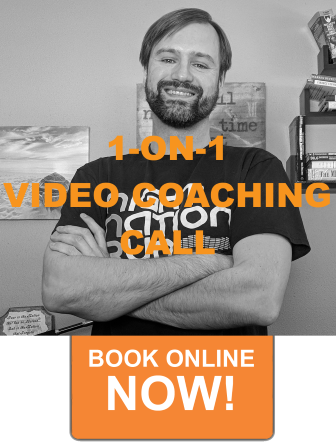 I have grown to over $80,000 per month on Amazon using this tactic. 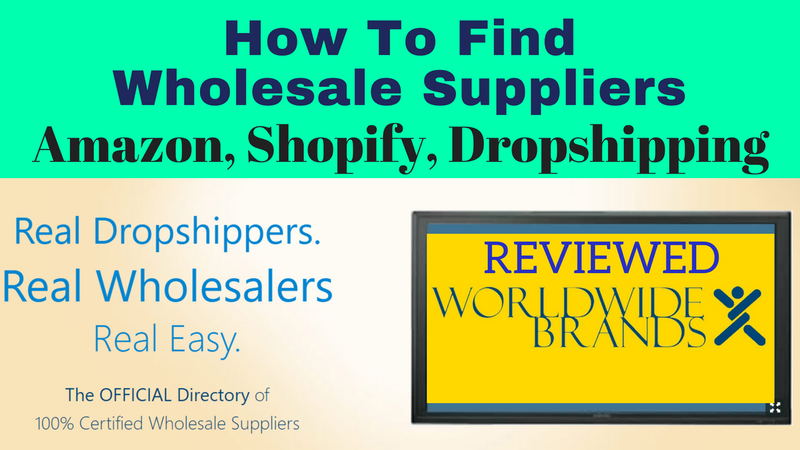 Find out how to easily find wholesale suppliers for Amazon FBA using reverse sourcing. 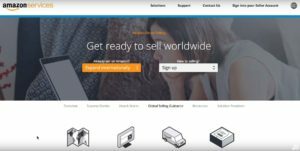 This is how you can find many suppliers quickly for Amazon. 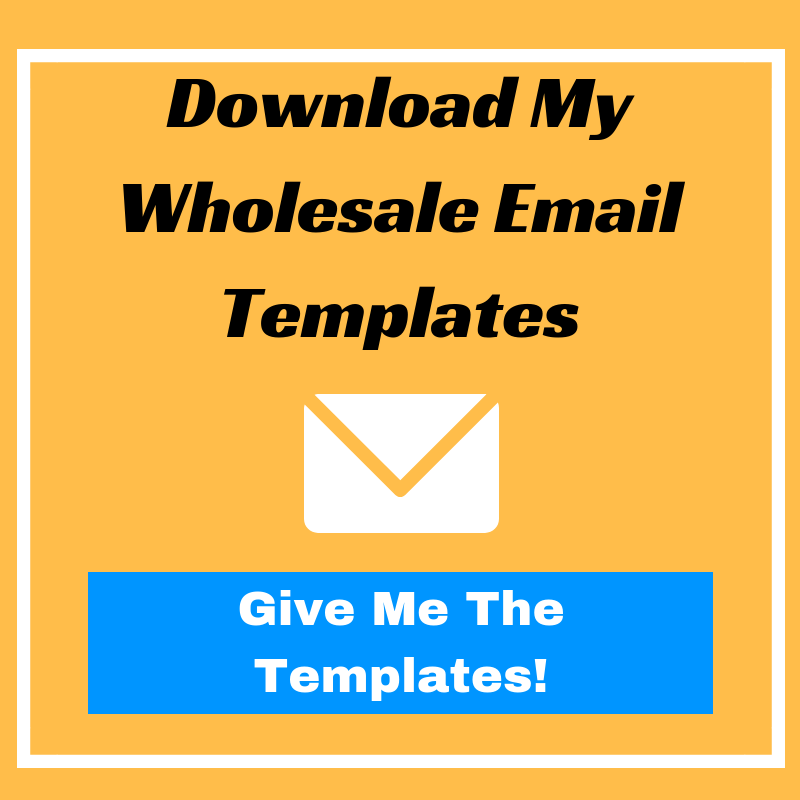 Quickly and easily find and reach out to wholesale suppliers using this proven method. 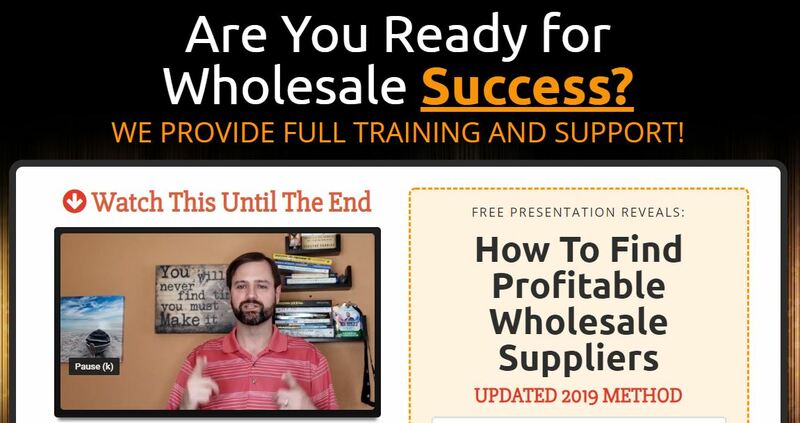 00:00 Are you struggling to find products for your Amazon wholesale business? 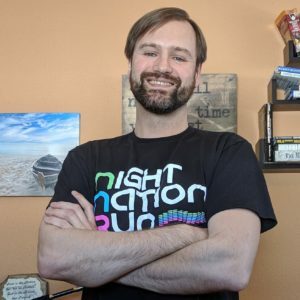 I’m going to show you right now the exact process that I’m using to sell over $80,000 a month on Amazon. Stay tuned. 00:19 What’s up everybody? 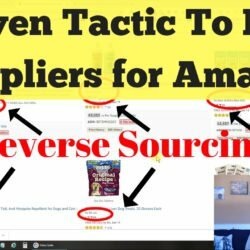 Todd Welch here from Entrepreneur Adventure, and today I’m going to show you a method of finding products to sell on Amazon wholesale and this method is called reverse sourcing. 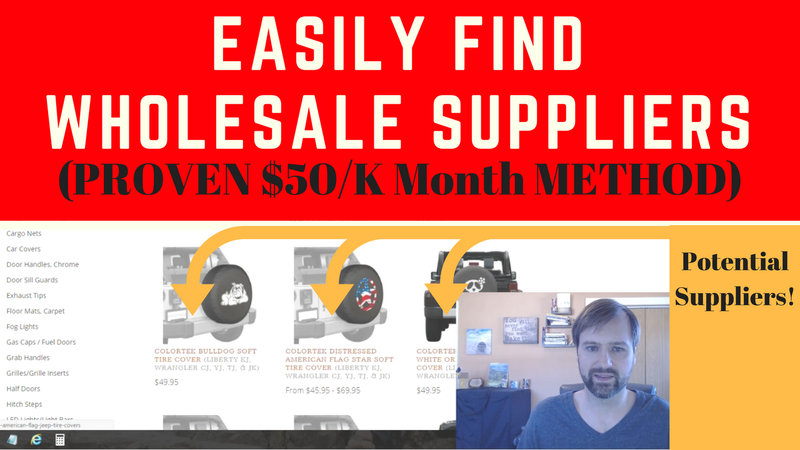 It’s a method that I’ve started using for a while now and I’ve been able to literally find hundreds of suppliers and lots and lots of profitable products to sell on Amazon. So many in fact that I am currently up to 80 to 85,000 touching a $90,000 in sales per month and growing rapidly. 00:54 I’m going to go ahead and flip the screen around here and show you my desktop. I’m going to show you this method, but real quick, I’m going to have some software that I’m going to be showing you that’s paid software. You can do this all totally for free, but if you do decide to buy the paid software, which is going to make it easier for you, it would really be appreciated if you bought through those affiliate links down below because I will get a cut of that sale at no additional cost to you and to help me to make more of these videos for free for you. 01:25 So let’s go ahead and get started. Okay, so right now I’m on Amazon and probably one of the hardest parts that you’re going to run into for reverse sourcing, especially if you’re just starting out and you’re not already selling anything, is finding where to start on Amazon. Once you get the ball rolling and you start finding products, you can just keep digging deeper and finding more products. But to get started, you’re going to have to find where you want to actually start. 01:55 So a few ways to do that. Number one, you could do a search for a product that you like or a product area that you like. You’re going to have to decide if you’re going to try to stay in a specific area or not or what you’re going to do, but you could do a search or you could also click on your three arrows over here, and pick a category and start drilling down in that category to find a products. Because what we want to do with reverse sourcing is find a product and lots of other sellers are selling. And then we’re going to go inside of that seller and look at their store to find even more products that we can sell and start contacting those suppliers. 02:45 So I’m going to go ahead and just click on pet supplies here and going to go ahead and just click on dog supplies. And now I like to keep down until I find a level of products that are selling around 300 to a thousand or so units per month. And you’re going to have to scroll down on the page to make sure there was actual products down below. Because what I’m going to use is a program called Jungle Scout, which allows me to look at this page and see how many units estimated their selling per month, if Amazon is selling and how many sellers are selling on those products. 03:32 So on this page I’m going to go ahead and just click the Jungle Scout icon here. And I’m going to look at the monthly sales. Now these products have a ton of sales and it’s going to be very difficult to start out selling one of these products because most likely selling 25,000 units per month, there’s probably a lot of other sellers that are targeting that size or product, and it’s going to be difficult. 04:00 So I like to drill down further than that. So I’m going to close. And I’m going to go over into say here, let’s go for the apparel and accessories. And so now in this category I can see that I have some more products down below here. So I’m going to go ahead and click the Jungle Scout again and just see how many units per month we’re looking at now. So now you can see in the monthly sales column, we’re looking at in the hundreds and the thousands, which is going to be more doable, especially for a beginning product to find suppliers that are going to be willing to sell to someone who’s just starting out perhaps and hasn’t built up their reputation, their feedback ratings, and things like that on Amazon yet. 04:50 So, in Jungle Scout, here, what’s cool is we have the monthly sales and then we have the number of sellers that are on that listing and we have who the seller is. So, AMZ is Amazon. FBA is fulfilled by Amazon. FBM is fulfilled by merchant. 05:07 We don’t really want to do products that are being sold by Amazon. So we’re going to focus on FBA and FBM. Now, if you didn’t want to buy Jungle Scout and there’s also a free extension that you can get a free chrome extension called DS Amazon Quick View, which puts this little bit of information down here. Whether you use that or not for this purpose, I recommend getting it because it allows you to see how many sellers are on a listing. It puts the ASIN right there. You can see the price history and the BSR history and things like that as well. If you buy the DS Amazon Quick View Extended, so really nice, but you can see whether it’s being sold by Amazon and how many sellers really quickly. So I’ll put that link down below along with the Jungle Scout if you want to go that route and not pay for Jungle Scout. It’s going to be a little more difficult, but you can do it for free. That way to find ones that have lots of sellers, and are not being sold by Amazon. 06:18 But let’s go ahead and click the Jungle Scout here and I am going to go ahead and just click extract next page. I like to do that for maybe four or five clicks just to get more results. So you can see here it’s one of 39 right now and going up. If I hit that a few more times, it’s going to keep grabbing 30 at a time. So I go ahead and click that like four or five times, let it grab all those results. This little icon here will stop spinning when it’s done. And then I’m going to show you how to filter those results to find some good products to sell. 06:56 Okay, so now the results have updated and I’ve got one of 192 and what I’m going to do is click on the three lines up above here, the sandwich menu, and I’m going to filter this. So I’m going to uncheck Amazon because I don’t want them in the list. And then the lowest sellers here, I’m going to put four cause I want at least four sellers of that product. And then I’m just going to put four nines over here because I don’t really care how many are selling and I just want at least four. And, then hit filter results. And, that has narrowed down that 198 down to 13 for us. And, you can see they’re all FBA and the number of sellers. 07:46 And, so now what I would do is the ones that are selling at least 300 I like at least 300 sales per month, I’m going to open up all of those and see if they’re going to be good ones for me to drill down into the other sellers to find more products. So let’s go ahead and click on this very first one here. Musher’s Secret it looks like it is. And the first thing that I’m going to look for is just to make sure that the seller here is not the name of the product because if the seller is also selling that product, they’re probably not going to necessarily want me to sell it. And if I do sell it, I’m probably not going to be able to beat them on price. So I usually just skip that and go on to the next one. 08:32 In this case though, it is a different name. So I’m going to scroll down and click on the number of sellers. Before I do that though, this graph here is called the Keepa graph. And you can get the plugin for Google Chrome. The Keepa plugin, that’s going to put this graph here. And one thing that’s cool if you have this turned on right here, these little orange lines tell you when Amazon was selling this product. 09:03 So if I zoom in here a month to a week, you can see for a brief period, Amazon was selling this item and it shows the price there of $12.75. And then this new third party FBA, that’s these triangles on here. So I can see the historical FBA buy box price of this item. You can also click on buy box and it shows those in pink. So you know exactly the buy box price. So the orange is the third party. FBA pink is the buy box. 09:40 I like to sell products that Amazon is not selling. So I target those and find sellers of those products because more likely they’re going to also be selling other products that Amazon is not selling also. So that is using the Keepa plugin. Again, those links will be down below. 09:59 I’m going to click over here to see all of the sellers for this product. And now I’m going to narrow this down by Prime. I just want to see the Prime sellers. And on this listing, we have four listings that are all the same price, which is going to get them rotated in the buy box. Two of them are for the same seller, so they must have this product listed twice for whatever reason, two of them are from two other different sellers. So these would definitely be some good ones to start out with and we could click on those and drill down. Before we do that though, I’m just going to show you a few other ones so that you can get an idea of some other things that you might see as well. 10:47 So let’s go ahead and click on this next one, QUMY. Now this one’s a good example because you can see the brand is Q-U-M-Y and the seller is K-U-M-Y. So the brand is selling this product. So this is one that I would just skip by this one and not even drill down into it. So let’s go back and look at another one here. 11:18 Let’s look at the SMALLEE here, and see on that one. So if we click over to that one, you can see that the brand is also selling that one. Another thing I like to look for is down on the Keepa graph, if this is almost all orange, that means Amazon is usually selling this product. It just right now actually it looks like they still are the brand is just selling it a little cheaper, so they’re getting the buy box. So in this case, if Amazon is almost always selling it, I wouldn’t look and drill down that one either because I don’t want to have to be competing with Amazon. So I’m going to skip that one as well. 12:01 Pawz Purple. Let’s take a look at this one. So the brand is not selling it. Scroll down. The Keepa graph, if I zoom out, Amazon has never sold this product. So that’s good. Click on the sellers and see what we have. And let’s check the Prime. And now for this one we have quite a few Amazon Prime sellers. So one, two, three, four, five, six of them. Four of them are within the buy box range. I’m not looking at this used one, just the new. So I like this one. I like this one actually even more than this one because here you’ll notice these are mostly dog brands that are on here except for this one. 12:55 So it’s very possible that these could be pet stores, which would mean that a lot of their products might be products that I would require a physical store to sell. The only difference is beauty shop. But if I was targeting the dog niche, then these would probably be some good ones to look at. What I like about this one is that the names of the sellers, only one of them is pet related, which means that they may be more general stores and they’re finding products that suppliers allow them to sell even if they don’t have a physical store. 13:33 So like this one even more for my purposes because I’m going more of the general store route rather than niching down. If you’re going to niche down, then maybe look at other sellers that are targeting the niche and have that niches name in their seller information, their seller name. 13:52 But I’m going to go ahead and let’s look at this one. So once you found a good product that looks nice, now we’re going to look at the ratings of the sellers. So if you’re just starting out, you’re probably not going to want to go after this guy here who has 58,000 feedback ratings. Getting feedback is not easy. So if he has 58,000 feedback rating, he’s probably had literally millions of sales to be able to get that feedback rating. So he is a big or her, she is a big seller. 14:27 You’re going to want to target smaller sellers, especially starting off. As you grow, you can target the bigger sellers, but as you start out, I would target the smaller sellers. Maybe a couple thousand feedback rating or less depending on where you’re at. If you’ve been selling, try to find people who are out in front of you, not super way out in front of you, but close to you, but are out in front of you to where you want to get to. 14:58 So in this case, I’m going to go ahead and I would open up if I’m just starting out, maybe this guy and this guy. So I’m gonna hold down the left control button and click to open those in new tabs. Or You could right click and open link in new tab. 15:22 So now I am at that seller’s store, Orchis Fusions. And, here what you can actually do is you can click over to their storefront, which is this link here. And this is showing all of the products that they are selling on Amazon. So we looked at Musher’s earlier. This store is actually also selling them and you can scroll down and look at all these products. So if you wanted it to go the free route, you can scroll through this list and you can see here is the seller’s information, the supplier. And you have that information. You can click on it, you could Google search it and find that supplier if you wanted to do it the free route. 16:11 The way that I do it, I actually use a program called AMZ Analyzer. And what that’s going to allow me to do is to take their merchant ID, which is up here, and it pulls all of their products, runs them through, and matches them up on Amazon, tells me how much they’re selling for and different information that’s going to make it easier for me to do this very quickly. 16:40 So let’s jump over to AMC Analyzer. So the link for AMC Analyzer, if you want to grab that, the affiliate link will be down below. But what we’re going to do is utilize what they have called a competing seller. So if we click on competing seller, it’s going to ask for the seller ID, which if we go back to Amazon, that is actually going to be the number that comes after merchant equals in the address bar. So we’re going to copy that, paste that in here, click okay. And then click on run. And it’s going to go ahead and pull all of the products from their store and give me information about those, which is going to make my search a lot easier. So you can see here it’s downloading those and checking them, matching them up on Amazon and pulling all the information. 17:36 Okay, so that is done. All are completed. So if we go over to the results tab, we’re going to be able to see the results of that. And you can see the sales rank, estimated number of sales, the profit margin, and ROI, you can ignore that for now because we are not entering that information. We don’t know how much we’re going to buy it for. But you can see the buy box and other information on here, which is pretty awesome. 18:04 Now what I like to do is select all of the items and show reviews and Amazon data because that way I’m going to know how many reviews the product has and if Amazon is currently selling the product so that I’m not targeting products or brands that Amazon is already selling. 18:24 Okay, so now all of that information has been pulled in. I’m going to filter this, click the little filter icon and we do not want it to be sold by Amazon, so I’m going to uncheck that. So now all of those ones sold by Amazon have disappeared. I’m going to sort by sales rank so that we have the best selling products at the top here. And then I’m going to right click and choose an additional column and I’m going to bring in the brand and put it here so we know what that brand is. And so what I like to do is this estimated number of sales, you can just filter that so that it’s at least 300 or whatever amount you’re looking for. I’m going to actually go 250 just a have a little bit lower on that one. And now I like to filter by brand and you can see these are the brands that we can potentially sell from this seller. We know they’re selling well, they have a good sales rank and Amazon is currently not selling them. 19:39 Now, you could go ahead and just start contacting them from here, but I do like to take some additional steps. So like this Bil-Jac, what I would do is I would click on the Amazon link, go over to that product, see what it is, just check the Keepa graph here and see if Amazon has ever sold it before. Make sure that Bil-Jac is not also selling that product. And then I like to click onto the brand. So if I click the brand, it’s going to take me to a page with a bunch of their items listed there and then I can run Jungle Scout and just see if overall this brand is being sold by Amazon or is not, because occasionally, or sometimes what you’ll run into is that one single item isn’t being sold by Amazon, but most or all of their other products are being sold by Amazon. 20:35 So in my opinion, I would rather go and search of other suppliers that are not currently allowing Amazon to sell their products, because you’re more likely gonna find profitable products with them to be able to sell and not have to be competing with Amazon sooner rather than later. 20:59 So in this case, you can see they’re all FBA. None of them are being sold by Amazon, so that’s a really good sign. I would definitely add this brand to my list. We’ll just look at one other one here. Let’s go with OurPets and just see what that one is. So it looks like a cat dish bowl not being sold by the brand, which is good. not being sold by Amazon, no orange here on the Keepa graph, lots of other sellers. 21:32 And now one thing you’ll notice here, now that I’ve found these products, what I mentioned at the beginning, just getting started is the most difficult. Now that I’ve found these other products, I can actually click here and here is even more sellers that I can start digging into to find more products to sell. 21:53 So let’s go back to this Bil-Jac, since this looks like a good one for us to possibly be able to sell, what I would do next is I would copy that brand and I would go to Google, search for that brand, find that brand’s website and find a place that I can contact them or open an account. 22:26 So the first thing that I like to do is just scroll to the bottom and see if there is like a link for opening a wholesale account or something like that. In this case, so far I’m not seeing anything. Nothing at the top here. So what I would do then is go ahead and click on the contact and see what contact or information they’re going to have. They might have a specific number to call to become a wholesaler or perhaps they’ll have an information. 23:01 So now you have a choice. You can either take the time and call them to try to open account or you can fill out their contact form. Even better if you can find an email address, I like to email them directly and you can contact the supplier to see if you can open an account. 23:21 Now if you’d like down below, I’m going to have a link where you can download the email templates that I use for contacting suppliers as well as follow up email replies to try to overcome rejections that you’re going to have. Because one thing to keep in mind is that most suppliers are going to say no and you have to try to the objections that they have to eventually get to the yes. Even with that, most are going to say no. So just understand that up front, most are going to say no. 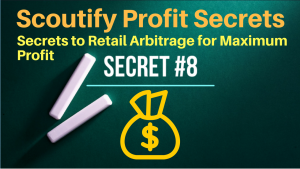 You’re going to want to be contacting 50 to a 100 plus suppliers per week to be able to find those profitable products that you’re going to need to sell because even when you do find those suppliers, a lot of the products are going to not be profitable. So you’re going to need to negotiate with them to get the decreased prices so that you can become profitable and buy at the volume that you need to buy at to get the cheaper products. 24:27 Obviously that’s not going to be easy when you’re just starting out, so you’re going to have to contact even more suppliers to find the ones that just give you the upfront pricing and do not discount from there so that you can find even more profitable products to start out with. But as you grow, you can start buying in larger volumes and get even bigger discounts and find more profitable products. So keep that in mind. You’re going to hear a lot of nos. You just have to keep going through this process. Finding more, finding more, finding more, finding more, and you will start building up that stable of profitable products to grow your Amazon business. 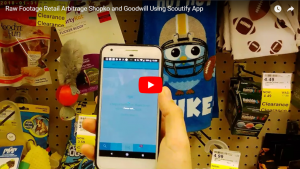 25:08 So in addition, AMZ Analyzer, I have a link down below on how you can use that to analyze the lists of products that you’re going to get from the suppliers. 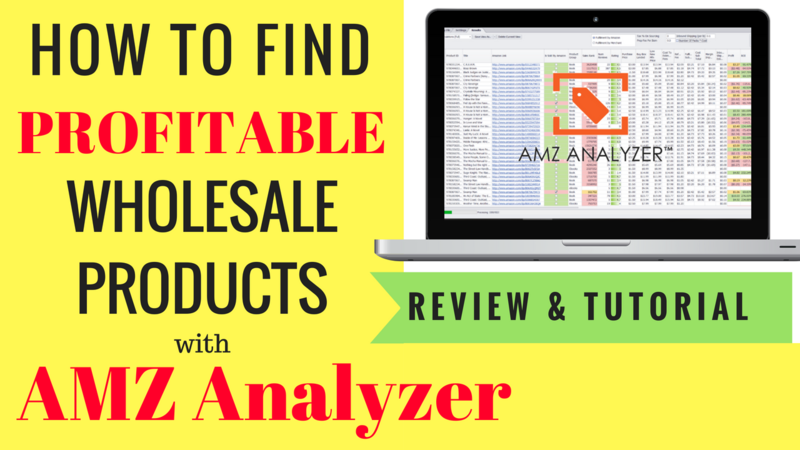 Because you’re going to want to get an Excel spreadsheet with UPC and wholesale price that you can then upload into AMZ Analyzer and find those profitable products. The link is down below that I’ve done on how I do that previously here on YouTube, so you can check that out. 25:35 But I know for a fact that if you go through this process, you will find profitable products and you can be successful selling on Amazon. Amazon owns 50% of eCommerce, but only 4% of all retail. So there’s so much room to grow here and we’re just getting started and we all can be profitable at this. So get out there and start working, working hard to find that. 26:00 You can check out the AMZ Analyzer video here and then click here to subscribe to our YouTube channel to get more awesome videos like this. All the affiliate links are down below. This is Todd Welch with the Entrepreneur Adventure signing off. Happy selling, everybody.